Solving problems is at the core of running a business and these problem solving tools will help you to take a structured and methodical approach. If you own a business, or if you are a manager within an organization, solving problems is one of your key duties. In fact, it may be the activity which takes up most of your time each day. Every time you make a decision to move the company forward, it is likely that the decision is being made because of a problem which has arisen. Needless to say, it is impossible to separate the task of problem solving from the task of running a successful business. They are one in the same, and you can’t do one without the other. Unfortunately, solving problems properly is an extremely difficult task in many cases. The problem may be complex or you may have a number of different potential solutions to consider. Or, in some cases, you may have both a complex problem and a lot of possible solutions on your plate. When things get complicated as you are trying to make a crucial problem solving decision, it is helpful to have tools available to use. In this article, we are going to highlight five of the top problem solving tools available to business owners and managers. Once you understand how to use these tools, and why they can be effective, you will be able to look for opportunities to put them into action in real-world applications. Below is content which highlights each of the five problem solving tools we have selected. If you aren’t sure which of these tools is going to be the best bet for your needs, we’ll offer some help at the end of the article. If it is simplicity that you are after, the six-step problem solving model is a great place to start. 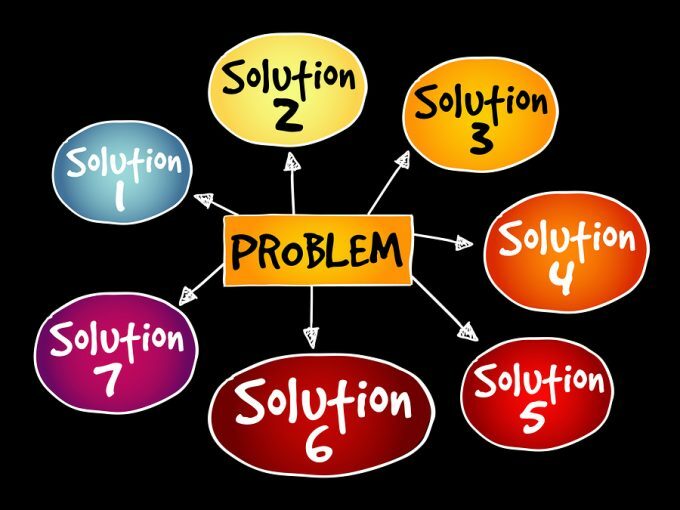 This is all about the basics of problem solving – each of the six steps will take you a bit closer to a positive outcome. This model might not be complex enough for your needs, but you may be surprised to find just how many times this technique is able to do the job. To give you a better understanding of how the six-step problem solving model works, let’s quickly walk through each of the six steps. Define the problem. Obviously, you aren’t going to get far if you don’t know what the problem is that you are trying to solve. Take some time at this first step to understand the problem on a deeper level so you will be able to take logical action later on. Determine the root cause. This is an important step that is frequently missed when individuals or teams are trying to solve problems. What is it that is causing you to wind up in this situation? Is there just one root cause, or is it a combination of issues coming together negatively? Develop alternative solutions. At this point, you aren’t trying to find the single answer to the problem – instead, you are trying to find all possible answers. Anything which you believe may be able to help you solve this issue should be on the table at this point. Select a solution. Now that you have a list of possible solutions to consider, you can pare them down and wind up picking out the one which you believe will resolve the matter. Implement the solution. With your choice made, it’s now time to put that choice into action and see what happens. Of course, implementation itself can be a complex process which may require its own methods and tools to work through successfully. Evaluate the outcome. This is important. Once you implement a solution, you need to follow through with that solution to make sure it actually worked. If not, you may need to go back and consider one of your other potential solutions that was identified in step three. There is nothing particularly complex about the six-step problem solving method, but that is exactly what makes it so effective. Take your time on each step, seek out collaboration as necessary, and trust the model to lead you to a wise choice. You can probably guess from the name of this problem solving method roughly what it involves. The term ‘drill down’ is frequently used in business to highlight any process that narrows something down from bigger components into smaller pieces. That is exactly what is going to happen within the Drill Down Technique of problem solving. When you are facing a large and complex problem with significant potential ramifications, one of the best things you can do is break that problem down into its various components until you have it solved. To use the drill down method successfully, you are going to need to have a plan. You can choose to work through this process either on your computer or with a pen on a piece of paper, whatever suits your personal preferences. To start, write down the problem that you are facing in big letters at the top of the page. Try to sum up the problem in just a word or a short phrase, even if it is complicated in nature. This will be your starting point, and the rest of the drill down process will take place from here. At this point, the problem needs to be broken down into smaller chunks. Try dividing the problem up into three – five smaller issues which come together to form the bigger matter. You are going to keep ‘drilling down’ on the problem by dividing up the problems, layer by layer, until you feel that it would not be possible to go any farther. This technique is a great way to uncover the complicated nature of most business problems. It is not typical for a business problem to be isolated within the organization – more often, the problem will be built upon layers of smaller issues. This is exactly what you are going to try to untangle by using the drill down technique. Look over the entire chart that you have created and figure out which of the ‘sub-problems’ is most likely to blame for the bigger problem. Once you have identified those lower-level issues which are creating trouble, you can get to work on correcting them as necessary. The Four Frame Model is a concept that divides up any given organization into ‘four frames’ – with the goal of understanding these organizations better when they are divided up in this manner. Organizations are extremely complicated entities, with a potentially huge number of personalities, motivations, capabilities, limitations, and more at play. If you are going to get the most out of your organization, you need to understand it as intricately as possible. While many tools exist for this purpose, the Four Frame Model is one of the most in-depth and one of the most successful. So what are these four frames? Let’s take a quick look at them below, along with a description. The basic organization of your business is the structural frame. These are the systems that are used to run the business, the hierarchy of the people within the company, and more. Human Resource. The people who make up your organization are incredibly important – in fact, they are the most important asset you have. Are your people being well taken care of? Are they happy with their work, and challenged to do their best each day? Many problems can arise when the human resource frame is not functioning properly. You aren’t going to be able to keep politics out of your organization completely, as they are the natural outcome of having many different individuals work toward the same goal. However, it is important to keep the political climate within your business as healthy as possible. How does the organization work as a whole, as its own being? Above the level of the individuals, what direction is the organization moving in both in the short- and long-term. This final frame is a bit abstract, but important nonetheless. Anytime a problem solving tool or process has been developed by one of the world’s largest companies, it is certainly worthy of a closer look. That is the case here with the Eight Disciplines Problem Solving process, which has been developed and used by Ford. As you certainly are aware, Ford is among the leading automakers in the world, and this process has played a role in the success that they have enjoyed over the years. Even if you own or manage an organization significantly smaller than Ford, you can still benefit from the proper application of this process. In many ways, this is a more complex and detailed version of the six-step problem solving model we discussed at the start of this article. It probably won’t be necessary to go into this whole process for each problem you encounter, but this can be a good choice for the major issues plaguing your organization. Rather than provide you with a problem solving plan as is the case with other tools, the Cynefin Framework instead helps you figure out how you should be thinking about a problem in the first place. In many ways, this framework is a level ‘above’ other problem solving processes. You could theoretically use the Cynefin Framework to figure out how you should be dealing with a problem, and then you could move into another problem solving method if you so choose to get down to the business of finding a solution. The problems here are self-explanatory, and these are the easiest problems to solve. Many of your most-difficult problems will fall into the complicated context, which is usually going to require you to bring in help from throughout the organization in order to find a solution. A problem which is considered complex might not be able to be solved today. Rather, it might need to simply stay on your radar until a viable solution becomes available. These are problems you can’t understand at the moment, but need to solve anyway. Usually the best bet is to implement a temporary solution until the problem can be further analyzed. Our final context is not an enjoyable one, as you won’t understand the problem or even identify the issue as a problem right away. The only step here is to gather more information until the problem comes into focus. So which of these valuable problem solving tools should you use in your organization? Well, that is going to be up to you in the end. It would be wise to learn how to use all of them, because one that works well for one of your problems might not work at all for another. For instance, many of your day to day business problems can likely be handled with the six-step problem solving model at the start of our list. For more complicated problems, however, you will need to use one of the other tools. In some cases, you might need to start with the Cynefin Framework to get a handle on the problem before you put one of the other tools to use in order to get the job done. 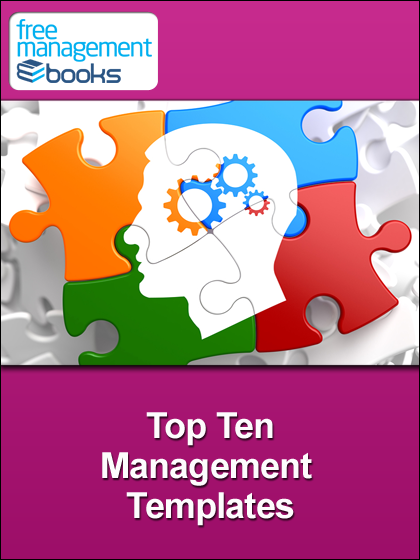 We hope this list of business problem solving tools has been helpful to you. For business owners and managers, the task of solving problems is not going away anytime soon. Learn how to use these methods and you will be able to fill your duties at a higher level going forward. 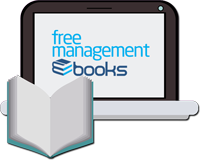 This free eBook outlines five problem-solving tools that can each be used to look at a particular problem from a different perspective. This can help you to find solutions that that might not be immediately obvious and to compare possible solutions before choosing the best one.